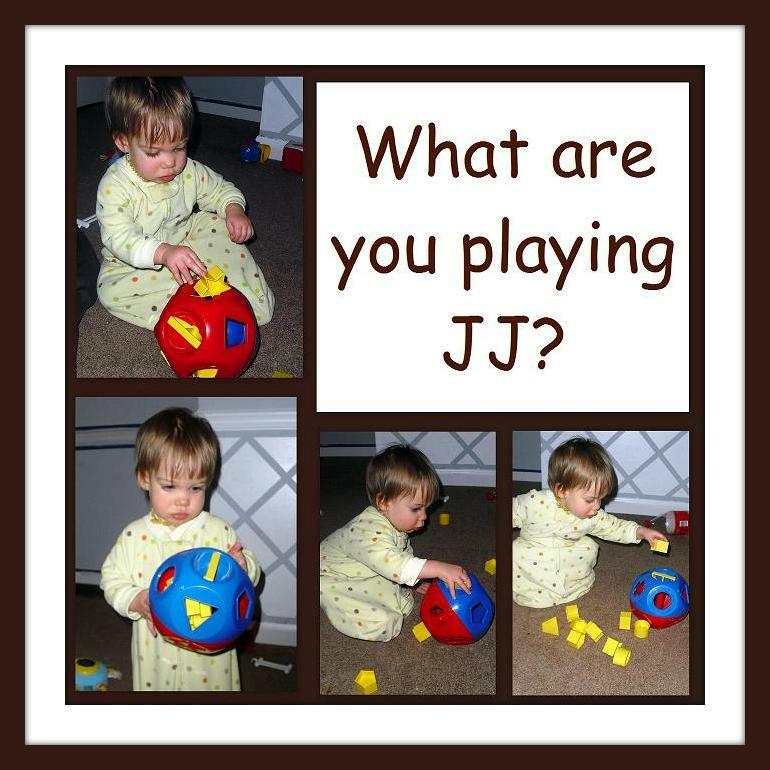 Recently JJ has been enthralled by his shape-o. He brings it to me at least once every waking hour so that I can shake it, twist it and remove the shapes. He then proceeds to chew on them, then with some assistance as to their placement he puts them all back in again. Then he wanders off for a while, only to come back and do it all over again. If you note in the bottom left picture, he looks very unhappy. JJ in fact is sick with a belly bug and tired. He should be going to bed, but rather than getting some much needed rest he is procrastinating and bringing me the shape-o for one last play of the day. He also did it while multi-tasking. He was constantly checking my laptop to see if Grandma was on skype.